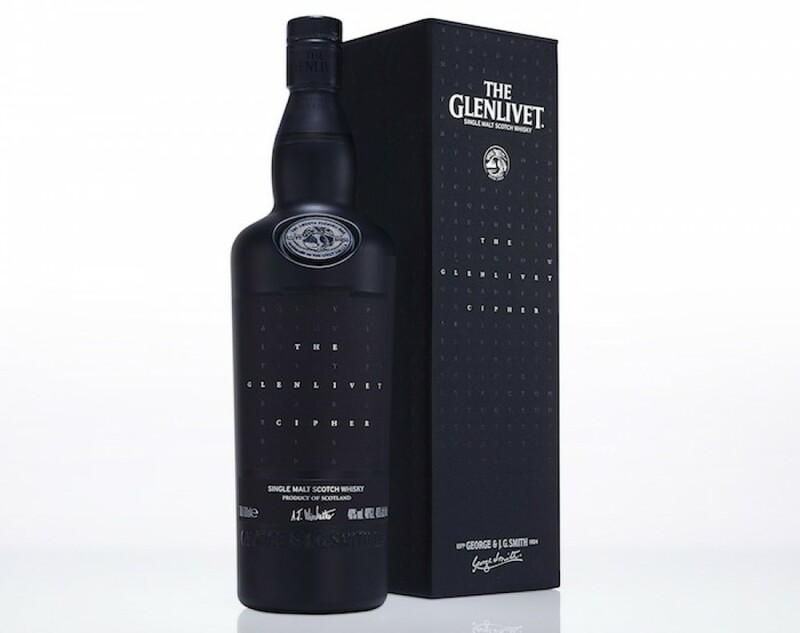 The Glenlivet Cipher is a great example of a whisky whose marketing overwhelms the actual liquid itself. The packaging is a black box (with some hard to see black-on-black lettering, kind of like a word search puzzle), within which is an opaque black bottle (with some similar lettering). If you look hard enough for them, you'll find typical tasting keywords hidden among the letters. The colour is golden honey. More honey on the nose, as well as vanilla, milk chocolate, pear and the vaguest hints of ginger, wood smoke and spice. Very delicate. With some time, it becomes more herbal. A drop of water brings out underripe banana. A bit too closed, but quite nice. On the palate there is a big hit of spice (cumin, pepper) with light caramel, vanilla, oak, ripened banana and citrus. It has a nice kick to it after what I felt was a too delicate nose. Mouth-watering. Biscuity. More citrus and spice reveals itself with water, with honey taking a backseat. Scrumptious. The finish is toasted oak, mint and earthy spices. This is quite a nice Glenlivet, sticking fairly close to the house style while providing a bit more of a spicy, earthy kick. Jim Murray scored this a whopping 96.5, awarding it Best NAS Single Malt Scotch (Multiple Casks). I wouldn't go that far, but it is a lovely and exciting dram that develops the longer you leave it in the glass (FYI my bottle has been open since December, and is almost empty). So how did I score on the website? 37%. "A solid start but you'll need a little more practice if you're going to decode The Glenlivet Cipher." Now, I don't give a crap if my notes are the same as Winchester's, but this annoying, gimmicky marketing spin implies that if you don't get the same notes as you are "supposed" to, you're not good enough. That is arrogant and insulting to any whisky drinker, novice or aficionado. There are no "wrong" notes. We all taste things a little differently, as our senses are often obfuscated by what we ate earlier, what is in our surroundings, biases toward a particular brand, or something we may have a craving for at the time. Their attitude that one's notes are wrong if they are different from the distiller's is completely antithetical to my more inclusive philosophy behind whisky. It's a good whisky, but shame on you, Glenlivet. Sounds good, but I can see how you would be insulted by your score on their so-called test. When I look at a bottle that is at the edge of my price limit (barring some crazy trade-in opportunity), and this is about 25-30% higher than that, I have to ask myself whether what's in the bottle has anything that I can't get from another, less expensive expression, or one I already own. So, I hope this is a fair question, but does this one tick any boxes that you can't tick elsewhere? It is impressive to me that Mr. Winchester and, by implication, The Glenlivet, appear to actually believe that BS that there are authoritative tasting notes for a whisky. If they actually do believe it, they are not merely extremely arrogant, but are also both profoundly naive and stupid. It is also possible that they know better, but are happy to see how many blind sheep followers will accept their authority in matters of taste. 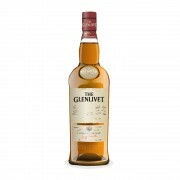 They have declared by fiat that their taste is an absolute authority to be slavishly followed and accepted...and that lesser beings should grade their own meagre worth by how well they follow what they are told is the truth by Glenlivet. What a joke! 2 years ago 2Who liked this? As good as your review sounds, the comments in the last paragraph are enough for me to say, "thanks, but no thanks". I can buy plenty of better whisky for half the LCBO asking price! Two hundred bucks for mystery whisky is the ultimate jumping the shark. Shame on you Glenlivet! 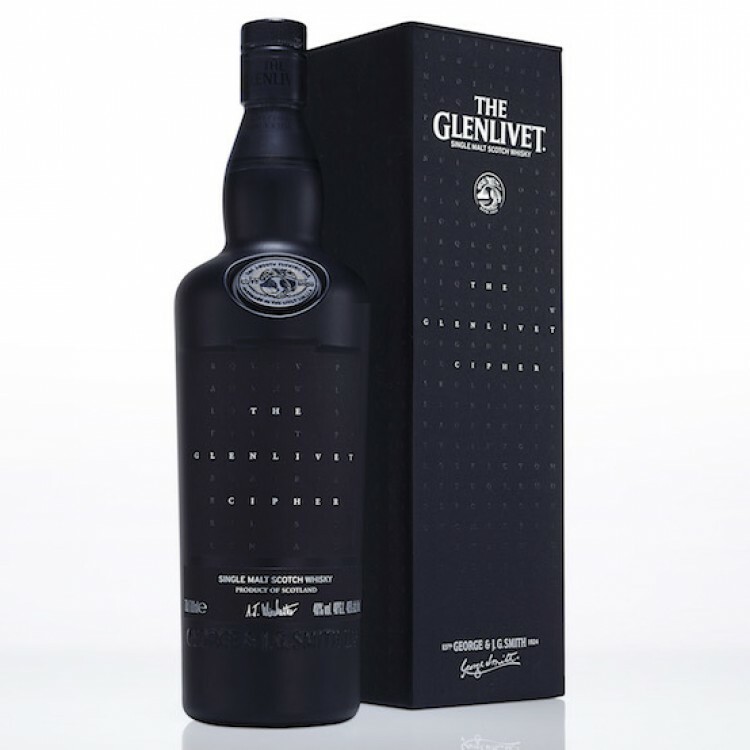 @Nozinan You may remember I poured it for you and @paddockjudge - and I think I recall you quite liked it - the box it ticks off is a balance between the light "Glenlivet" house style, and a slowly emerging spice and fruitiness that comes in. I would say that's not something I've seen in a lot of whiskies. Having said that, yes it is overpriced (but of course that is totally subjective). @Victor I'm guessing here, but I doubt they actually believe that their notes are authoritative. I think they have aimed this at a premium market that would respond better to the concept of a God-like Master Distiller decreeing from on high how their whisky tastes, and whether your notes are "right" or "wrong". I think it's all in the service of a marketing campaign (which, in it's way, is rather clever though wrongheaded). But if I'm right, they are being disingenuous in playing along with a marketing campaign that insults their customer base. But maybe I'm just taking it too seriously? Enjoyable and honest review. Thanks. I saw this one on the shelf at the Glenlivet Distillery and gave it a wide berth. Too slick and a product of a marketing department. The exact opposite of what i look for. (Maybe thats because i used to work in advertising/marketing!). I guess like most on here i look for authenticity over gimmicks. Thank you for a good review. It's a shame that an above average whisky gets a bad rep because of marketing! @talexander, on the subject as to whether you may be taking the Glenlivet Cipher marketing effort too seriously...as Nietzsche said, auf Deutsch, "A man's maturity consists in regaining the seriousness he had as a child-- at play." We take whisky seriously because it is our play. And you can bet that those Glenlivet folks who make their living selling it take it seriously too.